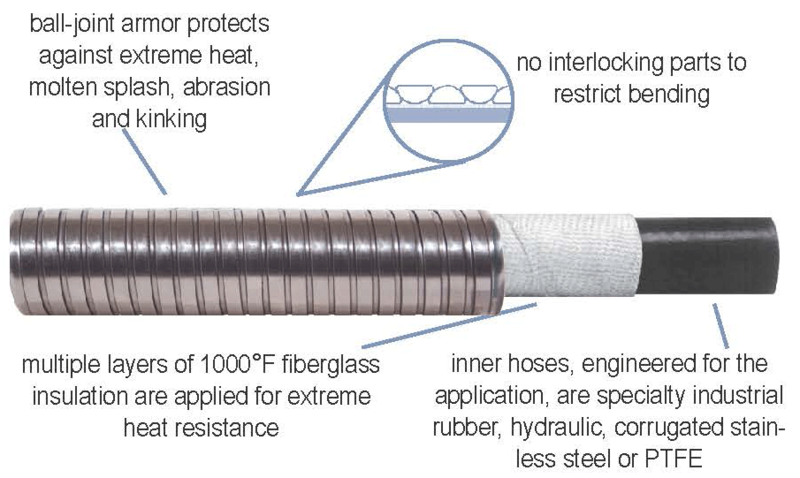 Multiple layers of fiberglass insulation are applied for extreme heat resistance to 1000°F. 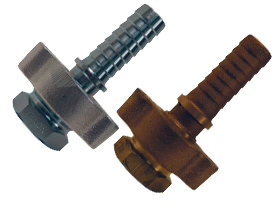 Ball-joint armor protects against extreme heat, molten splash, abrasion and kinking. 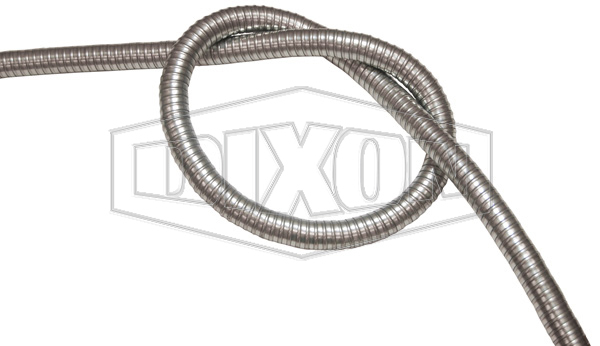 Inner hoses, engineered for the application, are specialty industrial rubber, hydraulic, corrugated stainless steel or PTFE. No interlocking parts to restrict bending. Half round wire ball joint design allows multiple plane movements and provides resistance to kinking. Armor: galvanized steel or stainless steel. 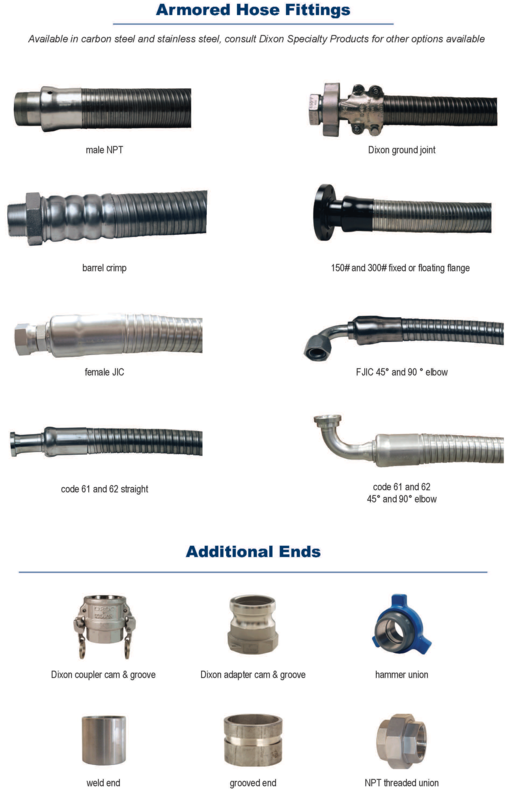 Wide selection of inner hoses specific to the demands of the application. 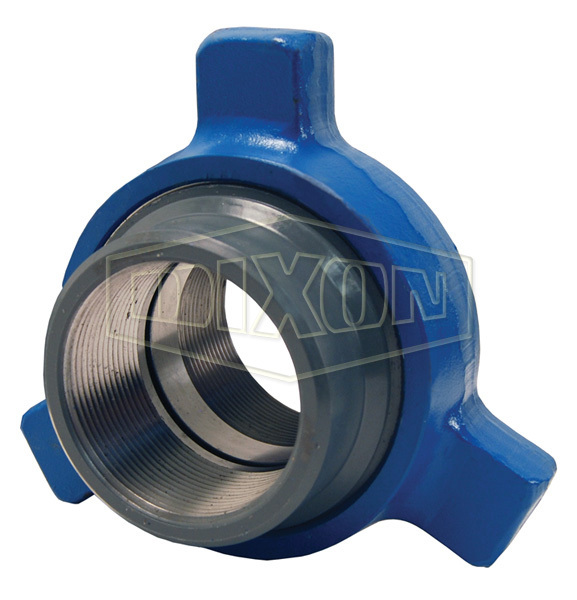 Industrial, hydraulic, stainless steel or PTFE. A variety of end connections are available. 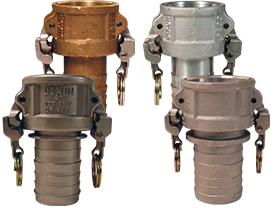 Dixon Specialty Products is available to consult and recommend the proper selection and application of Ball Joint Armored Hose Assemblies. Call 888.226.4673 or submit a quote request below. 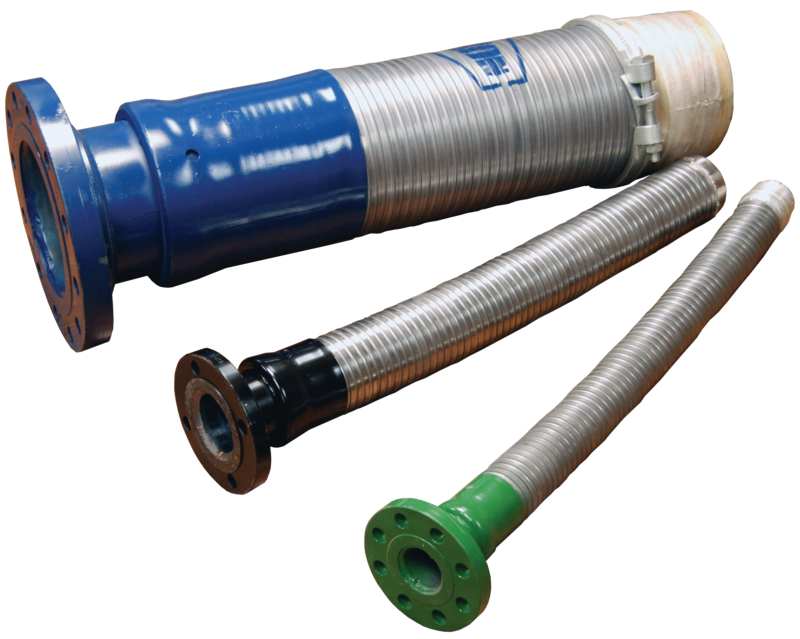 All hose assemblies are inspected, tested, measured and verified for the intended service prior to shipping. 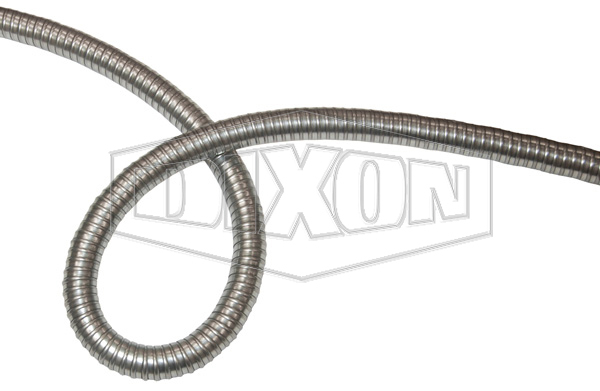 Temperature rating depends on specific applications, consult Dixon Specialty Products. 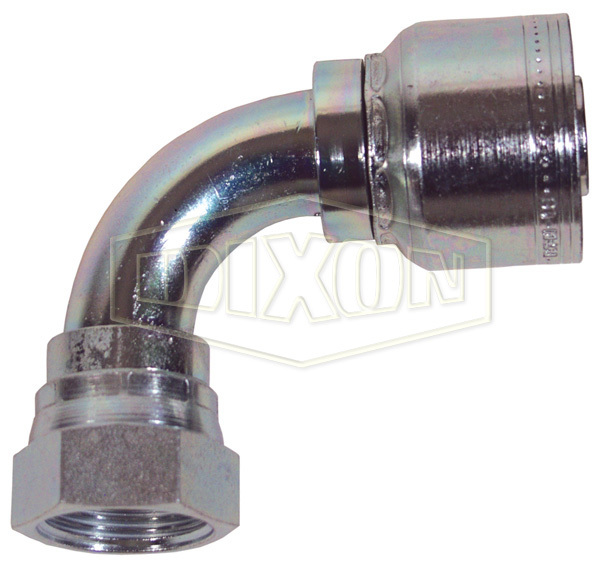 Contact Dixon Specialty Products with questions of use, incompatibilities and life of product. Dixon's engineering and test staff is always available to recommend uses and to assist distributors and users with questions.